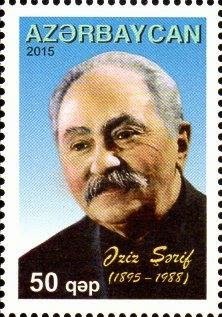 New Azerbaijan postage stamps 2015. 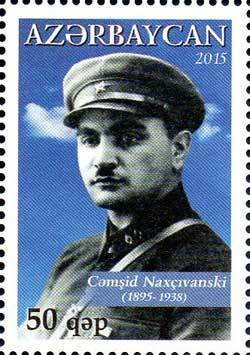 The 120th Anniversary of Jamshid Nakhchivanski. 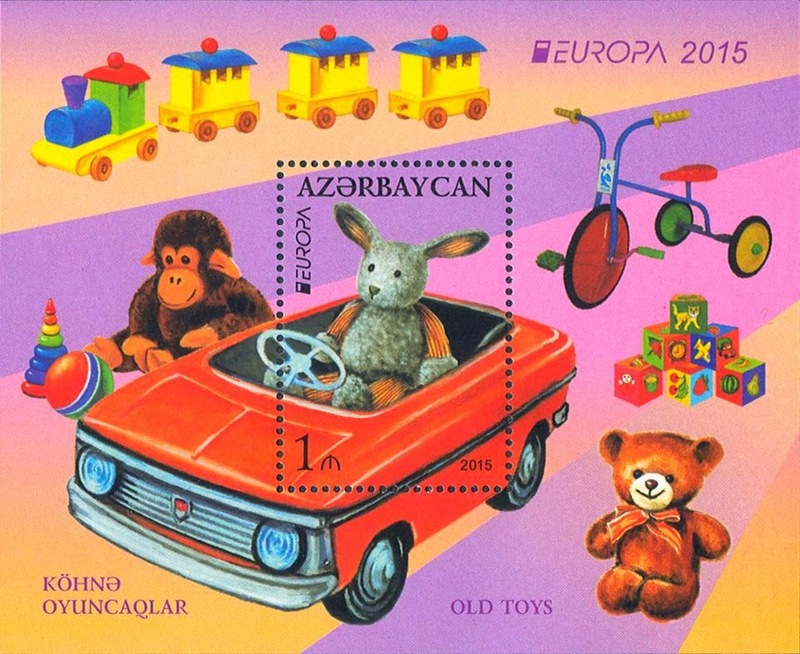 New Azerbaijan postage stamps 2015. 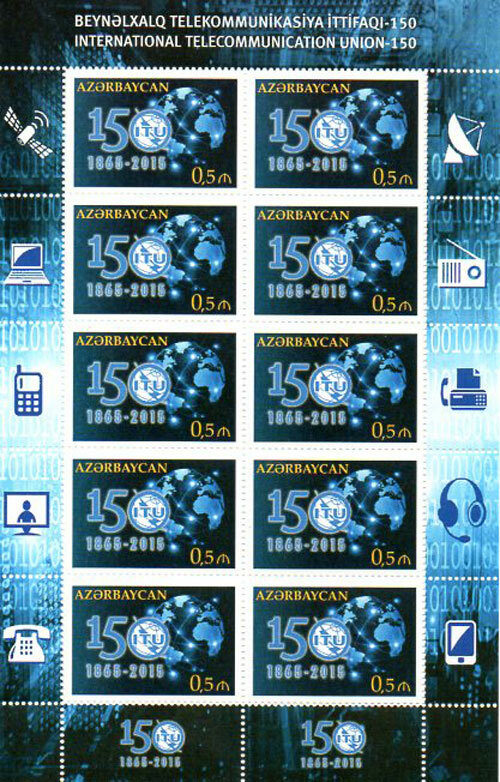 The 150th Anniversary of the International Telecommunication Union. Size of stamp : 40 x 28 mm. Size of sheetlet: 112 x 174 mm. Size of sheetlet: 113 x 173 mm. 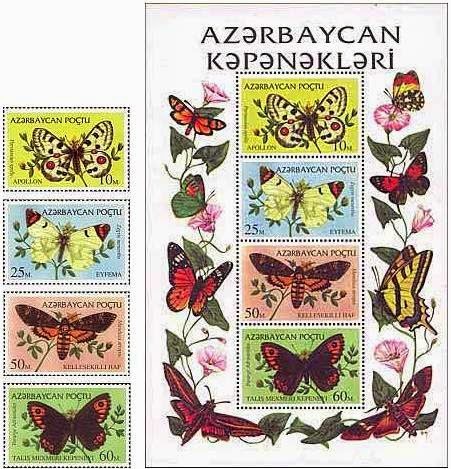 New Azerbaijan postage stamps 2015. Baku 2015. First European Games. (2nd edition). 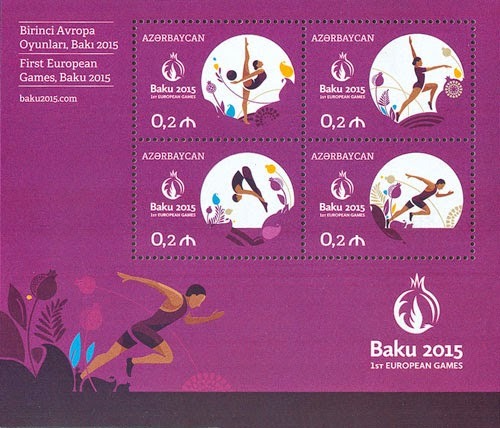 New Azerbaijan postage stamps 2015. First European Games. (2nd edition). Design: Kh. Mirzoyev. Printing: ofset. Perforation: 12.0. Size of stamp : 40 x 28 mm. Size of sheetlet: 118 x 101 mm. Circulation: 10000 stamps of each. The width of the five digits (for comparison is taken surcharge "15000") is 18.5 mm, height: 5.75 mm, the width of the last three zero on the horizontal axis of the ellipse of 11 mm. Mentioned numbering box was used for the single 5 digit surcharge as 50.000 onto 5 rubles and for the all the rest 6 digit surcharges. Inscription of few numbers expanded in the horizontal axis, the contours of the digit "5" not correspond to the manner of writing the other digits. The width of five digits in the comparison to surcharge "15000" is 20.5 mm, height of digits is 5,75-6 mm, width of the last three zeros 12 mm. 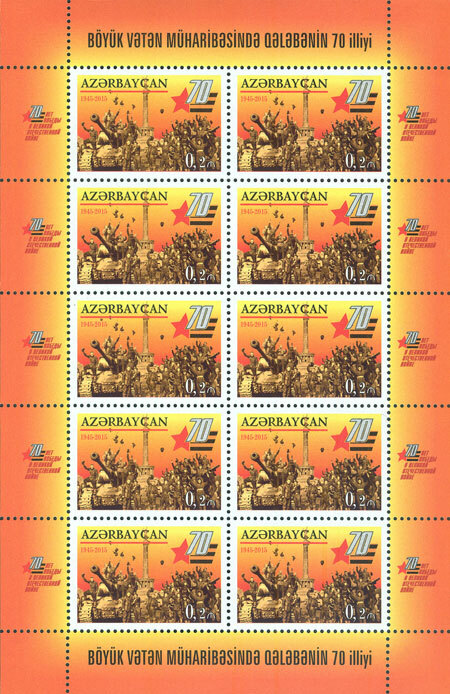 New section added with the full list including images of the stamps of Azerbaijan Republic from 1996.Information includes image/description/nominal price and SCOTT number for the reference. 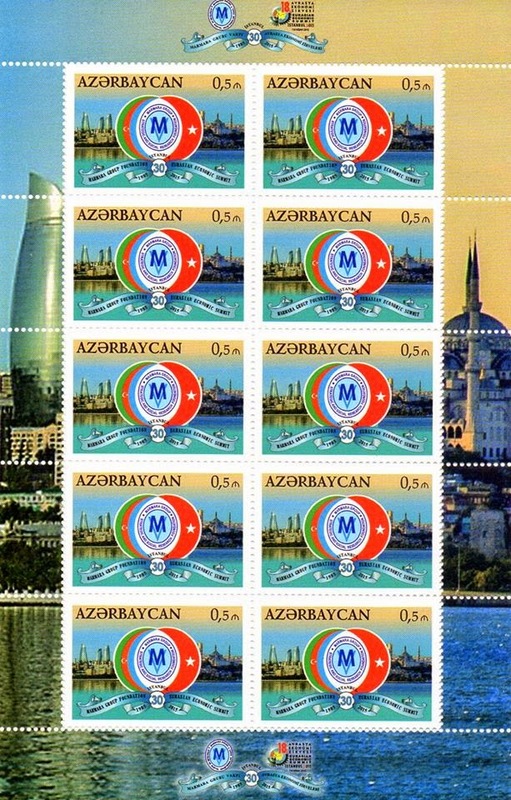 New Azerbaijan stamps 2015.The 30th Anniversary of the “Marmara Group” foundation. The 30th Anniversary of the “Marmara Group” foundation. N 1201 - 20 qapik. 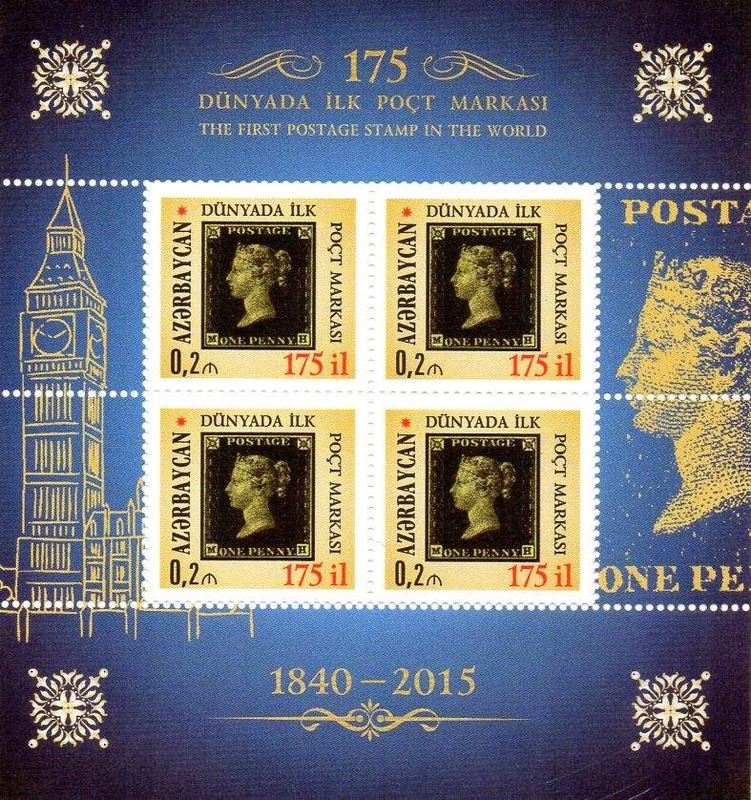 New Azerbaijan stamps 2015.The 175th Anniversary of the first postage stamp of the world. The 175th Anniversary of the first postage stamp of the world. N 1200 - 20 qapik. 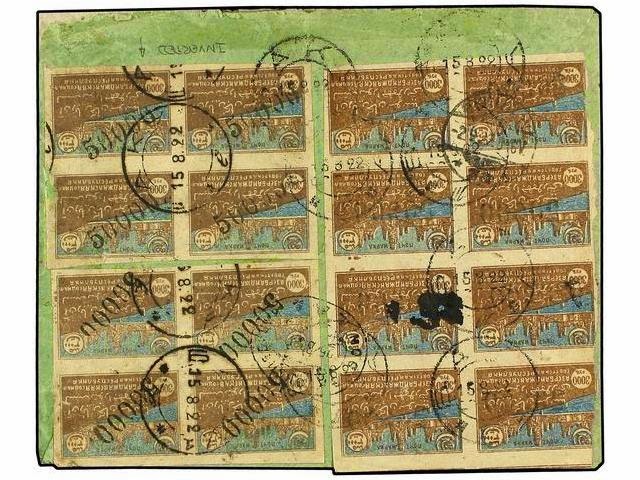 Souvenir sheet: N 1198 - 1 manat. N 1197 - 60 qapik. N 1196 - 20 qapik. 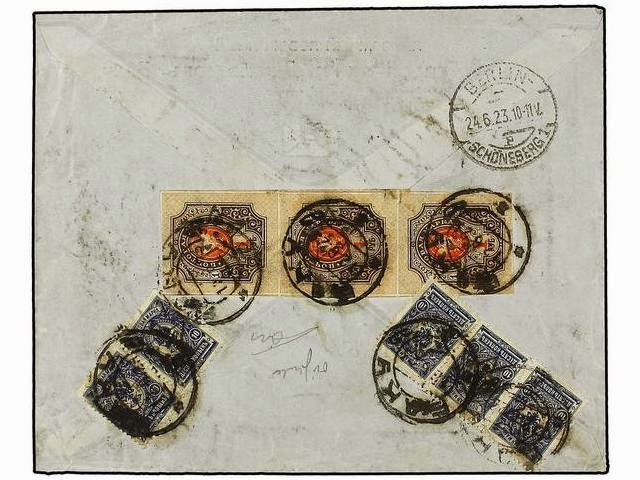 TRANSCAUCASIA FEDERATED REPUBLICS, 1923, registered cover to Switzerland, franked on reverse with 35 kop star overprint, two pair 1r imperf (Sc 4,8) and pair Azerbaijan 500r / Sc 29) all tied by BAKU c.d.s.'s. 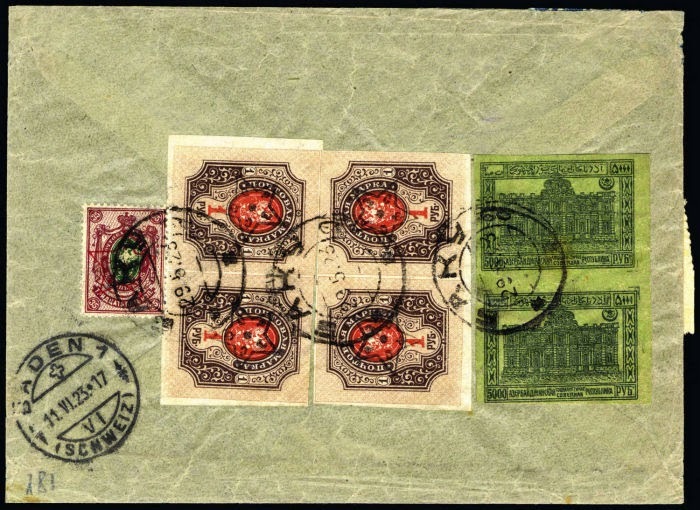 Front shows Baku Registration label and reverse bears Baden / schweiz arrival c.d.s. Traditional folk art. 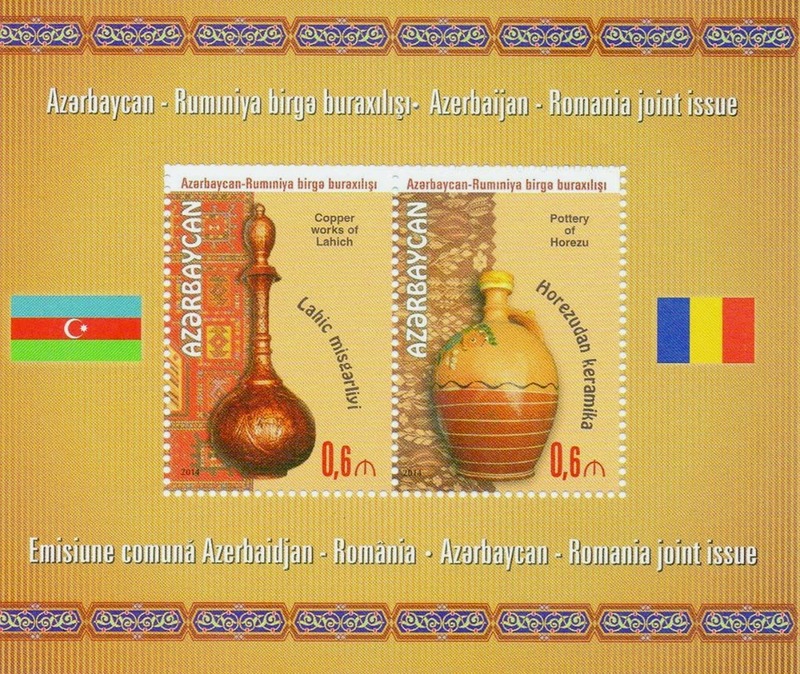 Azerbaijan – Romania joint issue. N 1192 - 60 qapik –Copper works of Lahich, Azerbaijan. N 1193 - 60 qapik – Pottery of Horezu, Romania. 2015 - Year of the goat. N 1194 - 1195 - 20 qapik of each. 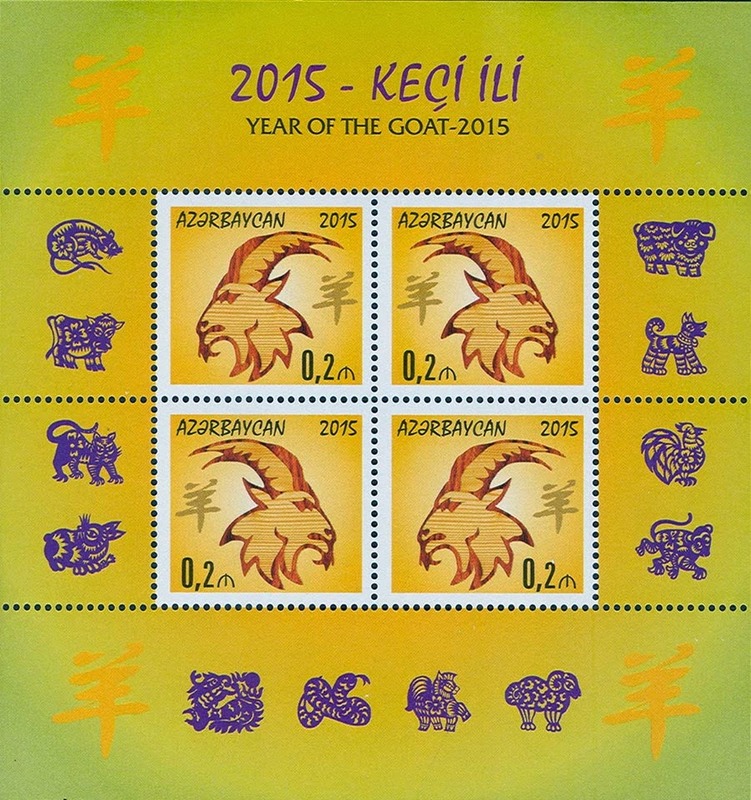 The stamps are devoted to the 2015 - year of the goat.